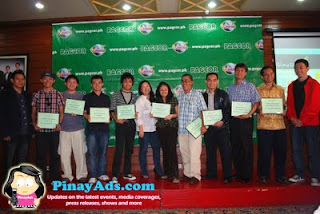 After weeks of voting and looking for our own list, the Top Ten Emerging Influential Blogs of 2009 were finally announced Saturday, August 7, 2009 at PAGCOR Paranaque City. It was my first time to cover the event as for the past two years of the writing project, I was just casting my votes online. This year, I was able to hear the speeches of the winners and of the past ones. It was such nice project and seeing how this writing project of Ms. Janette Toral grown for the past two years, you’ll realize that blogging in the Philippines is getting bigger and bigger. I guess, the challenge now is to continue their blogs to be influential not just for this year. Once again, congrats!!! Top 10 Emerging Influential Blogs for 2010 is Now Up! Haloscan to Shut Down Commenting Service is a Big Headache!